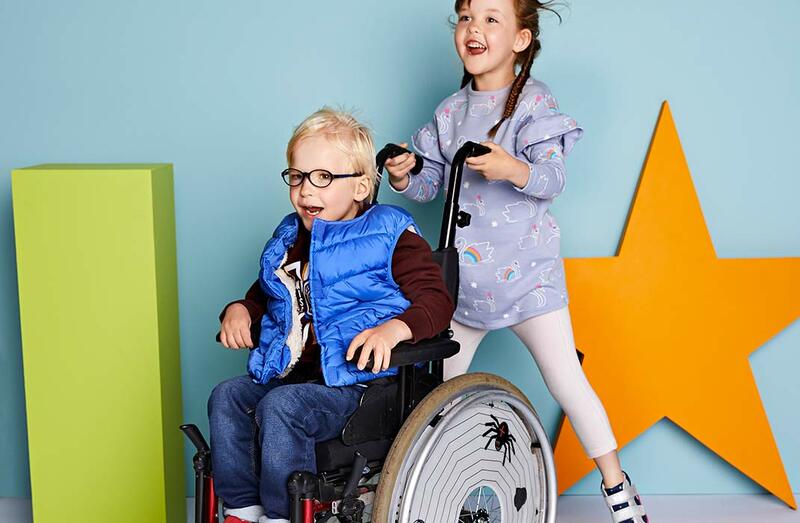 UK-based fashion retailer Marks and Spencer has launched an all-new easy-to-wear apparel collection for ‘special’ kids. All the Adapted for Easy Dressing collection has been made with the softest materials, least seams possible and concealed skincare labels. The assortment includes trousers and shorts with the zips and buttons replaced by an uncomplicated popper; leggings with flat-lock seams; t-shirts with a soft velcro fastening at the back of the neck for easy over-the-head dressing; dresses with tactful pockets for a feeding tube. The line also has coats and gilets with velcro down the front and back so they’re easier to put on if you’re in a wheelchair; ‘smart’ shirts with soft velcro behind the buttons; babygrows with dimensions to allow for a cast, suitable for babies with hip dysplasia.